Trade Hyd is organising 'Maha Udyoga Mela - 2018' from October 26, 2018 to October 28, 2018 at Exhibition Grounds, Nampally, Hyderabad, Telangana, India. Participating Companies: A total of 365 Companies are participating with 35,000 job vacancies in Engineering, Civil, Mechanical, IT & ITeS, Healthcare, Aeronautical, Pharma, FMCG, Retail, Banking, Solar, Energy, Telecom, Media, Entertainment, Agriculture, Automobiles, Tourism, Hospitality, Education, Real Estate and Service Sectors etc. 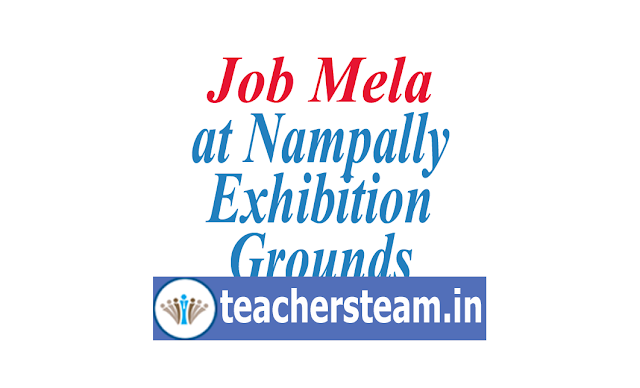 Registration Fee: Registration in 'Maha Udyoga Mela - 2018' is FREE for all Job Seekers. There is no participation fee are any other types of fee for Job Seekers and Employers. A total of 365 Companies are participating with 35,000 job vacancies in Engineering, Civil, Mechanical, IT & ITeS, Healthcare, Aeronautical, Pharma, FMCG, Retail, Banking, Solar, Energy, Telecom& Media, Entertainment, Agriculture, Automobiles, Tourism, Hospitality, Education, Freshers and Experienced job seekers from Zero study to 7th, SSC, Intermediate, ITI, Diploma, Pharma, B.A, B. Com, B. Sc, MBA, BBA, Any Degree, B. Tech, M. Tech, Arts, CA, CS, BCA, MCA, BDS, MBBS are eligible to participate at the Maha Udyoga Mela 2018 Mr. Venkat Bulemoni said. organiser's website "tradehyd.com" is not working at all.